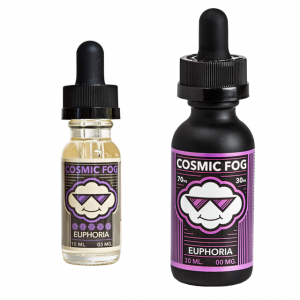 Are you a kind of vaper who can’t resist menthol flavor e-juices? If yes, Naked 100 E-Juice Frost Bite will be one more delightful option for you. What would you say about a tropical mixture with a hint of refreshing menthol? Frost Bite e-juice will provide you an incredible tropical adventure. Just open a bottle and you are already on the tropical islands. A refreshing blend of sweet juicy pineapple, mellow honeydew, and cantaloupe. Can you imagine it? These exotic fruits have absorbed all the sun rays to ensure juicy flavorful vaping. A tropical bomb with a cooling effect. Definitely worth trying! Do you agree? By the way, Frost Bite e-juice performs well in cloud production. Thanks to 70/30 VG/PG blend, you can produce lots of vapor. Besides, the Naked 100 e-juice comes in a 60ml bottle. Also, you have an opportunity to choose nicotine level from a wide range of possible options. In sum, Frost Bite is a juicy mixture of tropical fruits with light cooling menthol undertone. You will be unable to stop vaping this refreshing tropical bomb by Naked 100.